Corgi’s next Aviation Archive diecast release will be a variation on the highly successful 1:72 scale TSR-2 British strike bomber. This one is modelled on the XR220 machine, now on display at the RAF Museum, Cosford. It’s a Limited Edition, with just 1500 in the run, and has extra parts to reflect the stronger landing gear fitted to the aircraft, and the two cameras fitted to monitor gear behavior. 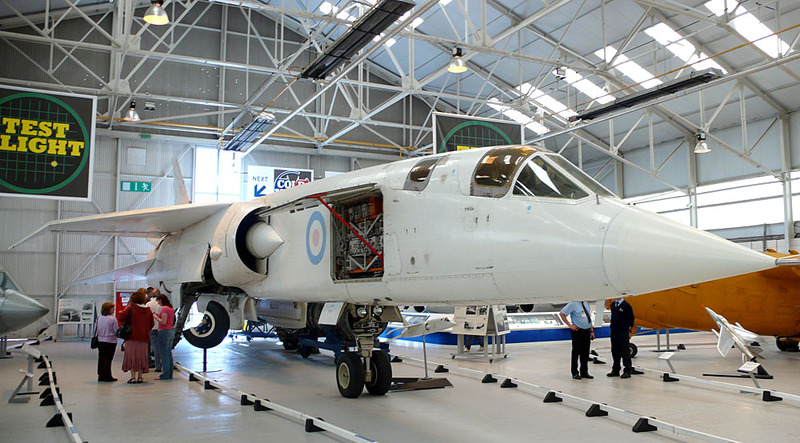 As many aviation fans agree, the TSR-2 (XR220 at Cosford above) represents one of the great tragedies of the British air industry. Produced back in the 1960s, the advanced TSR-2 would have been ahead of many types flying even today. Yet, as with so many other designs of that period, no sooner had the aircraft reached flight status, when the government of the day brandished the ‘cuts’ sword, and cancelled it. Grrr. 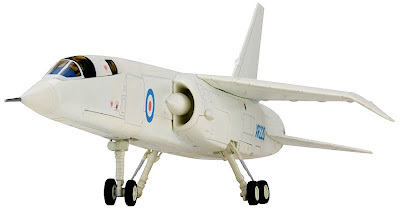 If this TSR-2 is as good as the other variations, then Corgi has a definite winner on its hands. 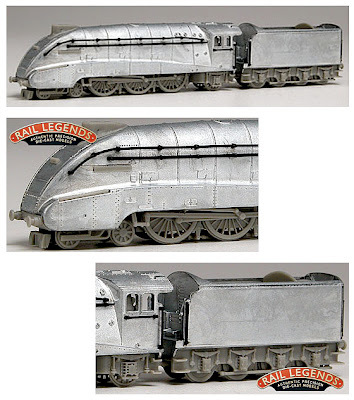 The photo of the model does it no justice - in the metal it looks much more impressive. We’re not so sure about the strong but clunky display stand, but it’s the aircraft that counts. 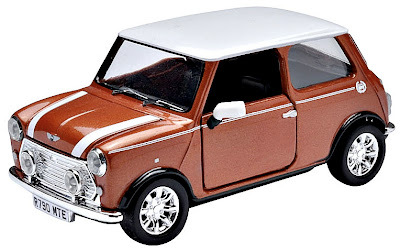 In January 2012 Corgi will release a 1-36 scale Rover Mini Cooper, and it’s one we’re less happy about. Even a cursory glance at the pic shows the inaccuracies there - for starters, just look at the chrome treatment on the radiator grille. It’s like no Mini that’s ever seen a highway. The Volcano Orange car has a limited quota of 1000 pieces, which is probably just as well. We’ve said it before and we’ll say it again - come on Corgi, let’s see a Mini that shows off this seminal automobile the way it deserves. Now here’s something different - a non-working locomotive in a smaller than usual size. An exotic little notion perhaps, but interesting if you have a thing for replicas of locos to 1:120 scale. 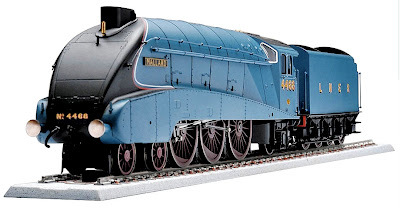 To much of the world this is TT-scale, though British enthusiasts choose to have TT somewhat larger at 1:100 scale. Hey ho, it’s the 00-H0 debate all over again, but let’s not worry about that - is the model a good one? Prototype casting before application of paint finish. Well, the answer is a definite yes, and it’s a case where modern production methods lead the way. Computer Aided Design (CAD) and Stereolithography (SLA) design technology have been used to develop this model, and these techniques result in faster and more accurate production, which means a win all round, and especially so for the buyer of the end-product. 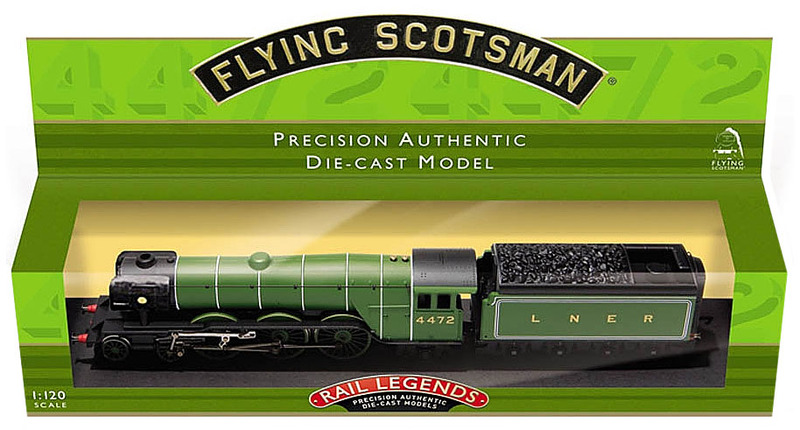 Earlier model in the series, in neat boxed presentation format. The actual locomotive chosen by Corgi is the world-famous Mallard holder of the world speed record, taken on July 3, 1938, when the locomotive powered its way to take the record for steam at 202.58 km/h (125.88 mph). Mallard can now be seen on display at the British National Railway Museum. It’s a deserved rest - during its quarter-century lifetime the 165-tonne streamliner covered some 2.4 million km (1.5 million miles). 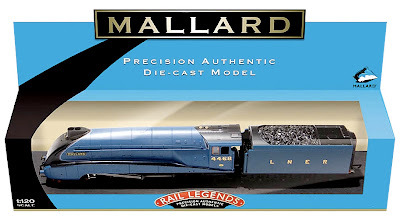 Visit Mallard at the NRM here. TSR2 pic courtesy Taras Young.